Social groups and players are welcome 7 days a week. Awesome course with some extremely fun holes including a few driveable par 4's and short par 5's to provide challenging risk/reward situations for longer hitters. Greens a firm (if anything a little too firm at times), fast and roll very pure all the way through the course (excellent consistency). With the $30 midweek special pp with a cart during July for 18 holes the value for money is absolutely outstanding! Highly recommend people give the course a go if they haven't already done so! Great course! Easy to walk. Carts are available. Friendly staff. Very affordable. I'll definitely be playing here again. Great course in a great location. Always in great nick and the greens are excellent. No too penal but always a pleasure to play especially off the back markers. And the icing on the cake is the price. A group of us have been traveling from Sydney for 20 years at least twice a year to play here. I have been playing here for 20 years and it’s always a fun to course to play and green green green 24/7. The views are to die for and the layout is very interesting. Not one boring hole, and the staff are friendly all the time. Highly recommend playing, and taking a social group there. Also big plans in the pipeline moving forward in 2018, so Its a definite watch this space. 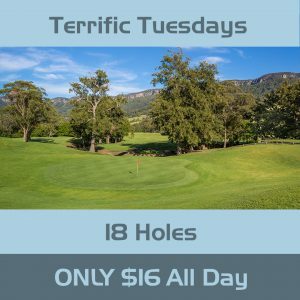 Great hidden gem, great condition,some very pretty holes, great setting under the Illawarra Escarpment. I would love to see onsite cabins and caravan sites there. It would be a very welcome addition to this lovely setting. Great course. Well looked after. Greens were perfect and beautiful backdrop. Pity the flies were out in force! Very impressed with course condition. Greens were very nice too. Lush fairways and picturesque scenery make this course one of the prettiest to play in the region. Carts were new models and well maintained. The signature par 3 holes still have the same great fun pin placements. All in all a very fun round. This is a golf course you cannot play only once. The setting has to be seen with a beautiful backdrop to the escarpment and natural waterways. The fairways and greens are maintained to the highest standard. Sensational part of the world. Close to everything you need and feels like heaven! Great friendly service. Calderwood Valley Golf Course....no way to explain the feeling and peaceful surroundings that you experience on this great golf course. A bit off the beaten track to get there.....but you know the saying....its worth the journey........and to finish, THE best meat pies on the South Coast....grab one after the 9th to recharge the batteries for the inward 9. Do it !!! What a great course , people and the after golf facilities are fantastic. 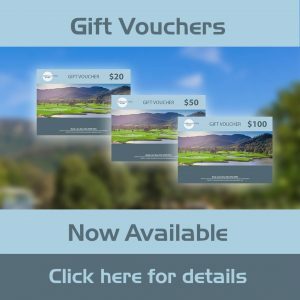 Cant wait for our fund raiser on the 24th of Aug.
Definitely my favourite course in the Illawarra. Have been playing at Calderwood for more than 15 Years now and it just keeps getting better! Weekday Cart Deal 18 holes with a shared cart between 12-2pm $30p.p. 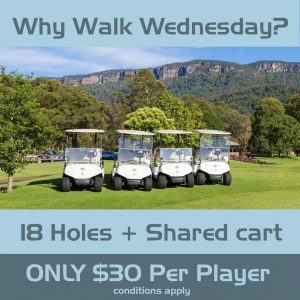 Why Walk Wednesday 18 holes with a shared cart all day $30p.p. We understand that potential bad weather can deter some golfers, that is why any golfer who has to withdraw due to bad or rainy weather will receive a full refund if less than four holes have been played. View the latest weather radar images here.